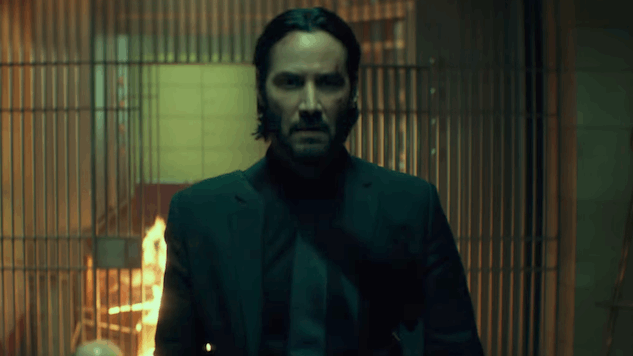 The violent, bloody ballet of death that is the Keanu Reeves’ John Wick series isn’t about to end any time soon. As the third film in the trilogy begins development, it’s been revealed that the twisted criminal underworld of Wick still has plenty of stories to be told. Work is being done on developing a prequel TV series titled The Continental that will focus on the titular hotel from the movies. In the second film, we learned that the Continental hotels are not a single location, but a globe-spanning chain where brutal hitmen and women can hang out and sip martinis without threat of assassination. They’ve got a really good structure. It’s very tied to the film [in that] it’s about the Continentals all over the world, how certain people come into that world, and what happens in relation to those people, which is cool. I think the world is very vast, and everything I’ve heard from it is very positive. […] It’s something that studio seems very, very intent on [making] and very, very behind. Look at ‘Battle of the Bastards. As an action designer, I think that’s the best battle I’ve ever seen on TV. They did a great job, and they weren’t careless with their money. They planned it, they boarded it — you watch the behind-the-scenes, [it’s clear] the guys did everything right. Granted, they’re the biggest budgeted show on TV right now, but could we do something interesting with John Wick with what we have? Yeah. I’d like to give it a go and prove to the TV world that you can have feature action on a TV show. It would be a nice little feather in my cap, sure. Stahelski certainly isn’t a shy man, but neither is John Wick himself or really any character in that crazy universe. No matter who is in charge of the show, we can’t wait to pay witness to whatever spectacular carnage it unleashes, especially if Reeves himself makes an appearance, as Stahelski hopes. Check out our review of John Wick: Chapter 2 here.